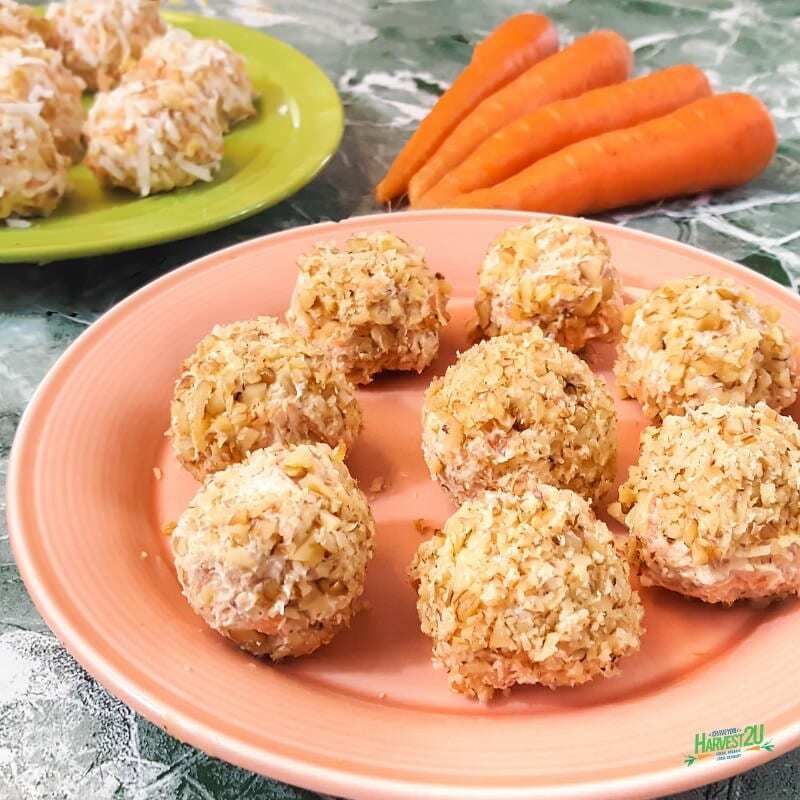 These Low Carb Carrot Balls are perfect as a dessert or a savory snack depending on the spices you add. They whip up in just a few minutes for a tasty treat. Carrots are a great source of beta-carotene (which promotes eye health), B-vitamins (for metabolizing food), vitamin K (for blood coagulation and bone health) and fiber. In a medium bowl, combine cream cheese, grated carrots, coconut flour/almond meal, and spices. Shape into 16 balls and roll in the toppings.